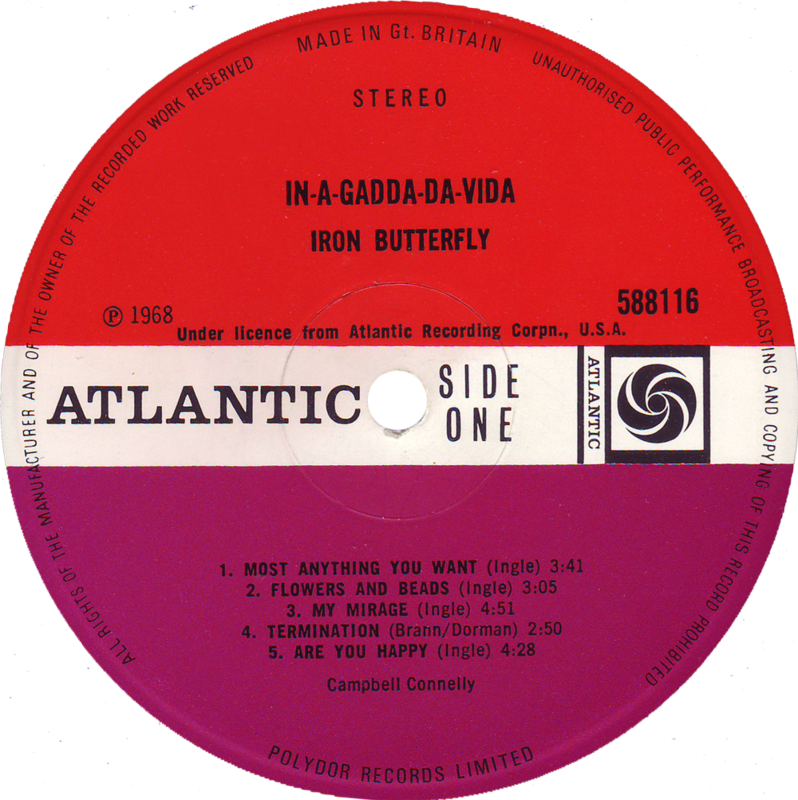 Originally titled ‘In A Garden Of Eden’ it was renamed to the more unusual sounding ‘In-A Gadda-Da-Vida’ purely because of the way the singer sang the lyrics! A psych classic. This is the original stereo 1st UK pressing on the iconic ‘red/plum’ Atlantic labels. See the album sleeve details here.